De Mare, Heidi. “Domesticity in dispute. A reconsideration of sources.” At home :an Anthropology of Domestic Space. Syracuse: Syracuse University Press, 1999. edited by Irene Cieraad (p. 13-30). This article questions the common assumption of the Dutch domesticity in the seventeenth century, as represented in painting and literature, as something inherently idyllic and peaceful. De Mare explains that that interpretation appears in the nineteenth century, always connected with highly gendered discursive practices about domestic space, as a bourgeois product, regarding the burgher as a historical category. 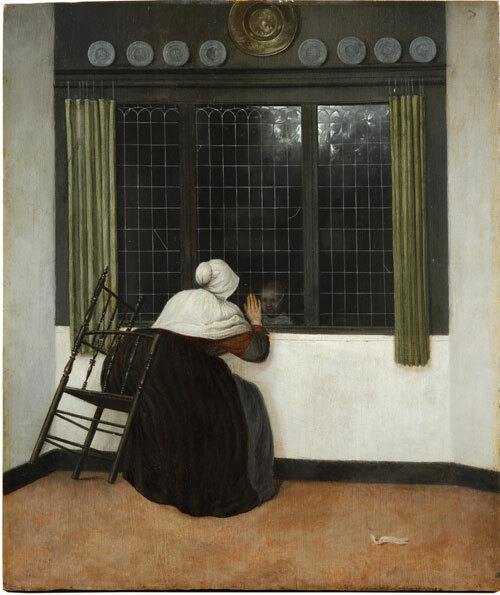 The construction of Dutch domesticity was founded in the configuration of a private and safe space for women, opposed to the dangerous public one, where house cleaning was exposed as metaphor for moral purity. That model was exported to the rest of the world, especially to the United States. Heidi De Mare contextualize Dutch painting of the seventeenth century with architectural treatises regulating the order and disposition of the bourgeois house, stressing the management and use of each space, with the aim to create ‘sovereign spaces’. With the same intention, moral treatises of the time emphasized space as a source of honor (or disgrace) in everyday life, and considers interiors as public spaces. She argues that the subjective interpretation of domestic space as apposed to the public one appears only in the nineteenth century, but the spatial division between the indoor and outdoor world belongs to the seventeenth one. In terms of this review, the important topic for the seventeenth century in Dutch paintings is about the house, but the discourse built with those images in the nineteenth century, which prevailing until now, is about the home.